This entry was posted in Needlework, Quilting. Bookmark the permalink. Miss Baby’s sampler is fabulous! Your energy is always an inspiration! 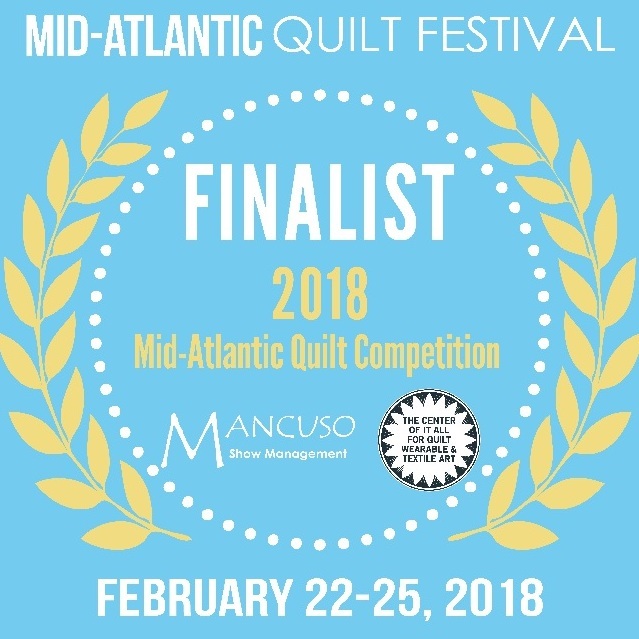 Congratulations on your beautiful quilt accepted to Mid-Atlantic! I will look for it on the one day I will be able to attend!. If you go, look for the special exhibit by Baltimore Applique Society. Congratulations, Wendy, to you and little Miss G!!! You both do superb work!!! Congratulations! I’m not surprised your quilt was juried in as the quilting is so impressive!! My fingers are crossed! Congratulations to Ms. Baby as well – clearly she has inherited some amazing skills from you. Congratulations to you and Miss Baby! I certainly admire the work of both of you!! Best wishes!! Congratulations on getting in to the quilt show. Your quilt is gorgeous. I am going to the show on Thursday, so I hope to get to see it. And congrats to Ms.Baby as well. Wish I could get up to that show as well. Maybe one year! Hope you are feeling better. It is so hard to get things done when you are fighting stuff! I am so excited about hearing how your quilt does. It is such a stunning piece. Yeah to Miss G for her entry too. That is a darling piece too. Beautiful quilt and needle work. You both should be so proud. Excellent news! You AND Miss Baby should do just fine. Beautiful quilt! 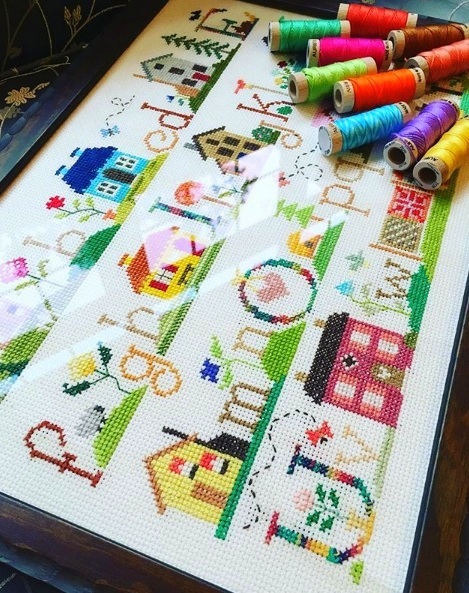 Miss Babies cross stitch is outstanding, she takes after her mother. Cpmgratulations to you and Miss Baby. Such beautiful projects. I’m so happy for you both. How nice of you to share in such an amazing show, as it will surely help to inspire others with your creativity. Such a beautiful quilt. I aspire to be as good as you at quilting! And your daughter’s piece is just as beautiful! Congratulations! That’s such a beauitful quilt. Miss baby’s handwork is so pretty. I wish I lived close enough to go to the show. Congratulations! Love the stitching as well. CONGRATULATIONS!! I have seen fabulous quilts and needlework. Now I see your quilts and Miss Baby’s needlework and they’re fantastic, winners for sure. Miss Baby has the most talented teacher ever. Most fortunate. Your quilting is amazing. I am afraid I still stick to straight lines (most of my quilts are very geometric) but I know I need to me more adventurous. Gwen’s sampler is fantastic. The co.ours are lovely and the work is so neat. You must be very proud. ivoryspring,thanks a lot for the article post.Much thanks again. Fantastic.